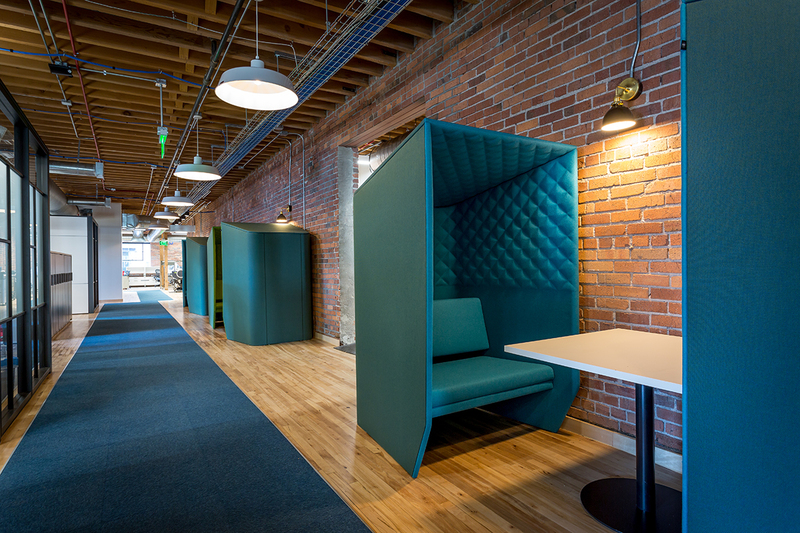 Balanced, responsive design is key to successful open workspace design. Office design trends are a hot topic today! Like a pendulum, the open office has gone from Wow! to How-could-you? to We-have-new-solutions. Very few of us had the dollars, and dare I say radical notions, of the Silicon Valley giants. Yet, many owners and designers saw a brass ring and reached for it. Open workspace can take on dozens of descriptions and at first, little heed was given to the occupants. Saving square feet, increasing collaboration, and being ‘cool’ were often primary objectives. It was the luck of the draw if a design matched employee needs and business styles or forced square pegs into round holes. Small, cramped spaces, excessive noise and stimulation, and loss of privacy were huge negatives. While we feel we got it right at CSHQA’s four-years-new office, we have learned several things. Lighting design needs to follow desk placement. Not easy when in the normal order furniture is last to be placed. South-facing windows need window shades to minimize glare. Business needs dictate a lot of meeting spaces, large to small. On busy days we are booked up and need more spaces. Heating and cooling temperatures never satisfy everyone; this we accept. Casual open spaces must be flexible and adaptable. This we did reasonably well. Personal spaces must be stable and customizable, not grab-a-chair. Got it. Can you imagine architects and engineers having to pick a different desk every day or week? So, what are the new trends and solutions responding to the shortcomings of poorly conceived open offices? Ergonomics – Sit to stand desks are standard in new design, giving employees healthy choices. Lighting is more controllable by the occupants. We find even more diverse collaborative spaces, from sitting and standing tables, to alcoves and high-backed booths, to living room arrangements with couches and coffee tables. 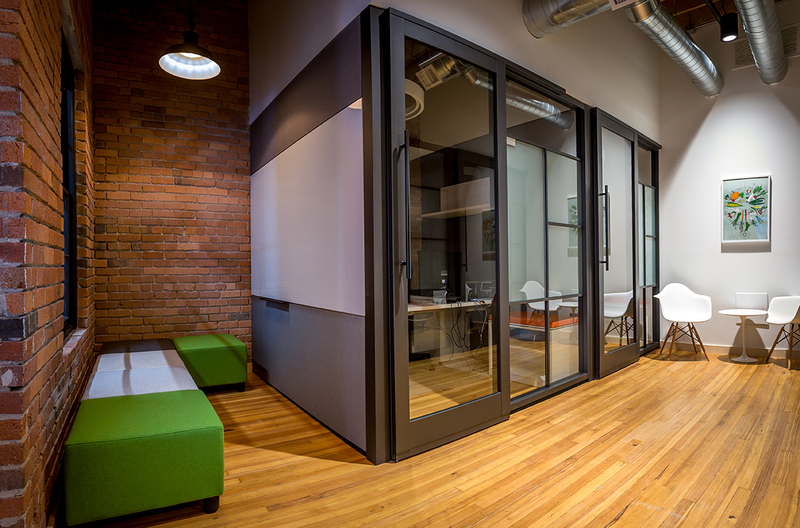 Impromptu, yet private meeting spaces employ floor-to-ceiling glass, sometimes with privacy screening. ‘Green’ walls, plants and rooftop gardens, also called biofilia, bring nature into the daily experience. These are just some of the evidence-based principals we take into consideration. The most important is balanced, responsive design. Strive to understand the people who will use the space, the type of work they do, their company brand and the larger ethos of their geographic and cultural environments, and you will be headed toward successful open workspace design. 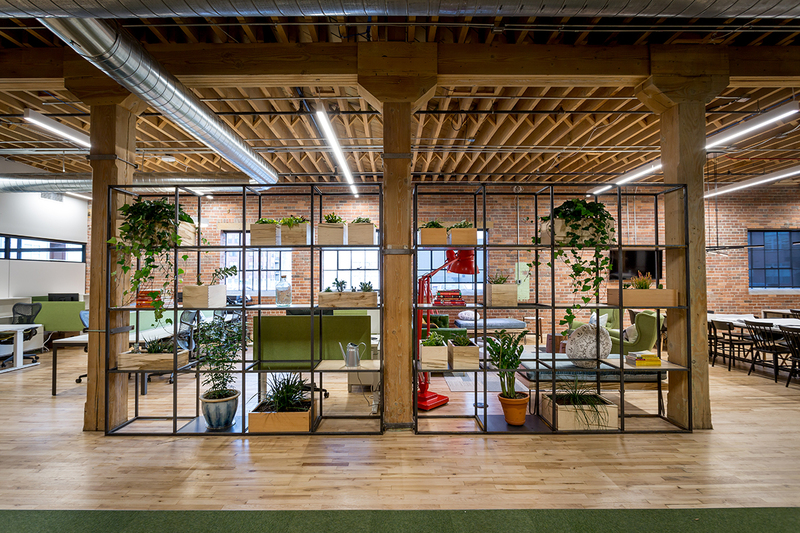 Images: Whole Foods Market Regional Office, a tenant improvement in an historic 3-story brick building in downtown Denver.